Hi David! It’s nice to talk to you. Regarding your recent film Winterlong, I was very struck by the maverick approach to genre. The film has visual and narrative hallmarks of the Western, yet explores a Social Realist topic, along with the occasional swerve into Comedy (I’m thinking of Doon Mackichan’s silly billy neighbour). If this was the old days of Blockbuster (and I worked there) I certainly wouldn’t know which shelf category to place Winterlong upon! Could you elaborate upon your approach to Winterlong’s generic features (and also suggest where you might place Winterlong in Blockbuster, if it was still going)? A maverick approach to genre. That’s an interesting starting place. Western. Comedy. Social Realism. Yes, I think you’re right to say Winterlong has a little bit of all those things going on: there’s also elements of romance and coming-of-age too. My intention was to try and wrong foot the audience in the beginning. The film opens in classic British social realist mode: hand-held visuals, up-close emotions. You think it’s going to be a run-of-the-mill father and son story in drab kitchen-sink mode. And then the film slowly opens out into something else, something much more gentle and tender than you first thought - especially when Carole Weyers steps into the picture. The shooting style itself settles down into something more composed and photographic and then there’s the East Sussex landscape, which is what you’re alluding to, I guess, when you ask about westerns. What Winterlong takes from the western is the idea of landscape as drama, meaning, the landscape gets treated as if it were an actual character in the drama itself. I stole this from John Ford. And to answer your question of where to place it at Blockbuster I’d say: under ‘drama’ - a catch-all category for films with tonal shifts. Unfortunately, that makes it a lot harder to sell in the marketplace. But then I never wanted to make a straight genre film, social realist or otherwise. Winterlong certainly seems like a personal project. It’s always interesting to see such a personal vision realised, and especially within the jurisdictions of the lower budgeted film. I’m fascinated by the independent movie industry, where every production is a triumph against the odds. I wonder if you wouldn’t mind talking a little about the development and production of Winterlong, please. Winterlong is certainly a triumph against the odds. We made the film with very little money and the whole process was very stop-start from the outset. The script was developed to second draft during a six-month writers’ workshop with brilliant story editor Kate Leys. 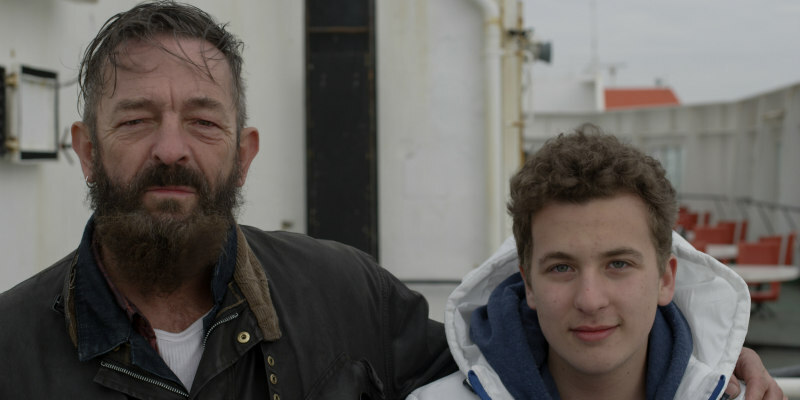 I wrote it as a micro-budget feature I could make but for one reason or another the script went into a drawer while I developed another project through the Creative England iFeatures scheme. That project got to the final stages of selection but wasn’t greenlit into production. Months later, when I got over the disappointment, I took another look at the Winterlong screenplay and thought: you know what, this is actually very good and I’m making it, one way or another. The film was shot in its entirety in 18 days in East Sussex with a small crew in the middle of winter. It was probably the hardest 18 days of my entire life but I had a brilliant team around me who really believed in the script. Editing and final post-production took a year and we had our world premiere at the Edinburgh Film Festival last summer and got a nomination for the Michael Powell Award. That was a real thrill. I note with interest that Winterlong found inspiration in Nathaniel Hawthorne's 'Twenty Days with Julian & Little Bunny'. What a coincidence! I have recently been studying Hawthorne in university. This bit in the book reminded me of the Francis character in Winterlong [nb; the character is writing about his son]: ‘It really does seem as if he had baited me with more questions, references, and observations, than mortal father ought to be expected to endure’. How far do you think that this quote is true to Francis and Winterlong’s themes of paternity? Hawthorne’s 'Twenty Days' was a real inspiration to me when I was writing the script. As you know it’s a diary of the 20 days Hawthorne spent alone with his 6-year old son, Julian. There are certainly echoes of incidents and characters from the diaries in the script: I kept the name Julian for the son and based the character of Barbara (played by Doon Mackichan) on Hawthorne’s landlady Barbara Teppan, who makes occasional forays into their days. I like the Hawthorne quote you mention but I don’t think I explore that in the film; my Julian is a teenager rather than a six-year old so his character presents Francis with a different set of challenges as a father. Interestingly, I used a quote on the front page of the shooting script from American novelist David Vann: "A father, after all, is a lot for a thing to be." I didn’t include it in the film because it’s too literary, but it seems to sum up in all its strangeness as a sentence the weight of what it means to be a father in the world. And I suppose I wanted to try and test that idea out in the script and the film. Without wishing to give anything away, Winterlong features some very unpleasant gun violence. Gun violence is a topic which is unfortunately highly contemporary. What do you feel Winterlong contributes to the ongoing discourse surrounding gun violence? I’m always highly sceptical when guns appear in British films. With that in mind, I wanted a degree of authenticity and made them a part of the story-world. Francis is a poacher, after all, and poachers like to keep guns. In this case they’re all ancient and kept in a hiding place under a sodden mattress in the woods. At the beginning of the story Francis warns Julian off them, while trying to impress him. He’s not a good role model. Of course, we know the guns will be back. What matters here is how the violence happens. It’s literally an explosive situation. There’s been some discussion during Q&As about this issue. My intention was never to fetishise guns and gun culture. At the same time, I’m fully aware there’s a certain cinematic allure going on here too, which I’m not immune to as a narrative filmmaker. But just to repeat, the guns had to be a credible part of the story-world for the characters. Well, it’s over to you! Why should Movie Waffler readers take a journey with Francis into the hinterlands of Winterlong? Here’s a couple of reasons off the top of my head: Francis Magee’s tremendous central performance. He’s so brilliantly charismatic and deserves accolades galore. The widescreen cinematography is simply gorgeous: the colour, the light, the landscapes. Rob Lane’s music does what the best film music should do. His remix of Kid Kipichi’s 'Blossom D’Amour' over the end credits is worth the price of admission in my book. And that final close-up of Harper Jackson’s face fills my heart (and hopefully the audiences) with love every single time I see it. I absolutely love this film and you will too. Or your money back! 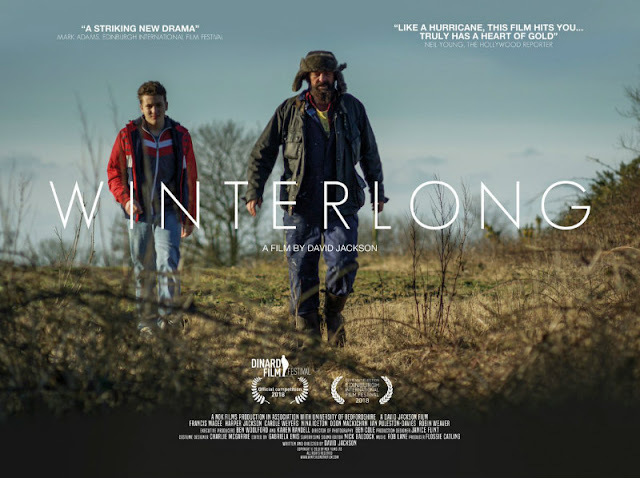 Winterlong is in UK cinemas now.